Photo via Flickr user rianklong. 4th of July Block Party at Grand Park: Join the festivities full of music, food and a fireworks display launched into the DTLA skyline! The event is free and open to all ages. Doors open at 2 p.m. and fireworks start at approximately 9 p.m. Take Red/Purple lines to Civic Center/Grand Park Station and use the 1st Street exit or Gold Line’s Little Tokyo/Arts District Station followed by a short walk towards The Music Center. Note: DTLA buses will be detouring in the area. 4th of July Community Festival and Fireworks Show at Exposition Park: Enjoy a day of games, food, music and more. Free and open to all ages. 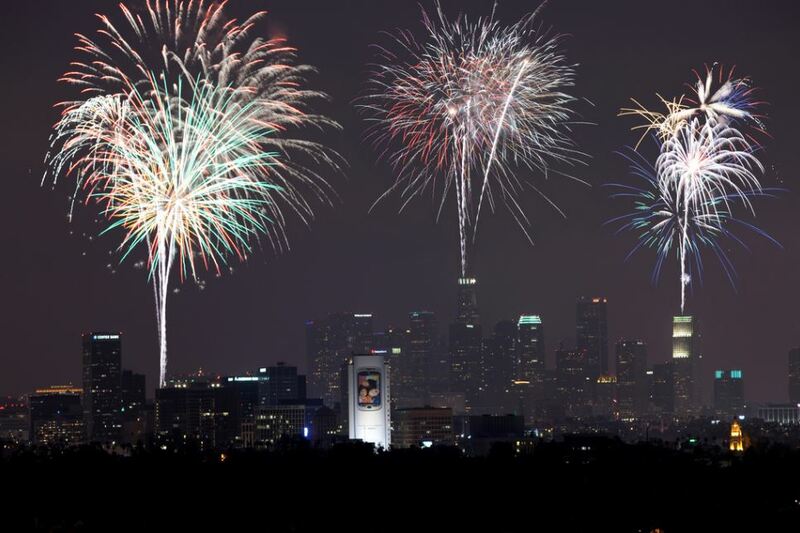 Event starts 11 a.m. through 10 p.m. Fireworks begin approximately 9 p.m. Take the Expo Line to the Expo Park/USC Station or Expo/Vermont Station. 4th of July aboard the Queen Mary in Long Beach: A day of live entertainment, family games, historic tours and more. The event begins at 2 p.m. and fireworks start at approximately 9 p.m. Tickets start at $24 and open to all ages. Take the Blue Line to 1st Street Station or Downtown Long Beach Station. Note: If you’re not able to attend the event the fireworks display will be visible in most of downtown Long Beach, including the Pike and Shoreline Aquatic Park. Dodgers 4th of July Fireworks: is there anything better than a night of baseball followed by fireworks? Game starts at 6:10 p.m. against Arizona Diamondbacks. Tickets start at $18. Take the Dodger Stadium Express from Union Station or Harbor Gateway Transit Center. It costs $3.50 in stored value to ride Metro roundtrip plus $1 for a reusable TAP card. The fare includes two hours of free transfers if you need to ride more than one line. Remember to tap your own card before each boarding, including at transfer stations. Red Line: trains every 10 minutes until 11 p.m.
Blue, Expo and Gold Line: trains every 12 minutes until 10:30 p.m.
To stay informed on the latest service updates, please check the Service Advisories page or follow us on Twitter @metrolosangeles or @metrolaalerts.